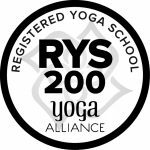 2019 dates are here for our Advanced Teacher Training Levels II & III Starting this September! Indigo teacher training graduates receive 10% off. Must be 200 YTT to apply. 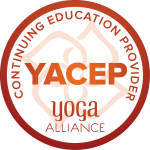 Our Indigo hot yoga center advanced teacher training program has been created to offer teachers the opportunity to take your practice to a new level! You will learn advanced teaching enhancements, find depth and broaden your adjustment skills. You will also learn new advanced levels II & III sequence, and find ways to a deeper connection of Mind, Body, and Spirit. You will also learn how to create workshops, how to practice and teach inversions as well as tune in on your voice projection and sequencing skills. Apply today! For our 2019//2020 Level One 200 Hour will begin on September 20th, 21st & 22nd…. More details to come! Led by Master Trainer, Claudine Burns, and supported by Indigo and guest presenters, our training is a complete immersion. The trainers in the program, who provide over a decade of teaching and training experience, have combined several styles of Hatha Yoga including (but not limited to) Vinyasa, Hot 26, and Iyengar to deliver a unique Hatha Yoga training experience that will serve as a solid foundation for anyone in exploring various Hatha paths simultaneously. As trainees, you will begin actually TEACHING Indigo Community Classes in your 3rd month. This will allow you to have 7 months of active teaching experience BEFORE you even graduate. Early Registration ends July 1, 2018. Receive $200 off for signing up during early registration! Deposit of $500.00 will be due 3-5 days after you have been notified of your acceptance in order to hold your spot. Payment Plan: Please reach out to indigohotyogacenter@gmail.com if you are interested in the program. Your program payment provides you with nine weekend modules, course manual, handouts, and one-on-one mentoring. All yoga training classes, mats, and towels are included. Note: Due to tremendous upfront costs, we are not able to refund tuition. Thank you for your understanding!